Ana Paula Rodrigues Belo of Hypo Niederösterreich suspension appeal accepted. 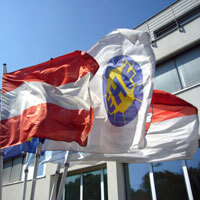 The panel of the EHF Court of Appeal accepted the appeal of Hypo Niederösterreich in the case concerning the player Ana Paula Rodrigues Belo, dismissed the first instance decision and decided not to impose any further sanction on the player. The player is now eligible to play in the EHF Women's Champions League match between Randers HK and Hypo Niederösterreich on Sunday 30 October.